Home » Economy » Challenges and Ambitions for Baena, the Lead Partner of URBACT AGRI-URBAN project. Challenges and Ambitions for Baena, the Lead Partner of URBACT AGRI-URBAN project. AGRI-URBAN is about Rethinking Agri-Food Production in Small and Medium sized Cities. Interview with Jesús Rojano Aguilera, Mayor of the city of Baena, and with the project coordination team, António Zafra and Raquel Moreno. Interviewed by Miguel Sousa, Lead Expert of the URBACT AGRI-URBAN project. 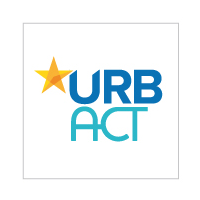 Why did your city decide to join or set up an URBACT Action Planning Network under this theme? For the city of Baena it is a central objective to enhance policy integration as a means to build synergies between strategic plans to optimise the achievement of integrated development policy outcomes in an integral, articulated and participative manner. Agri-Food systems are a key economic sector of our region, thus the Action Plan to be developed in this project will provide answers to the needs of the population and optimize the use of existing opportunities ensuring the quality of life of our community. In the global context of urban policy, the URBACT Programme offers to the city of Baena an opportunity to generate new knowledge based on a European cooperation on a specific challenge, which is at the heart of our priorities. These are the creation of jobs in a sector such as Agri-Food, which also connects to the redefinition of the role of our own typology of cities and a new approach to the territorial development. Who was behind the initiative to join? The interest of a new local authority in the city of Baena was behind this initiative. The city is facing challenges like youth unemployment, SMEs development, green economy, new business models (digital and creative economy, circular economy or the emerging concept of sharing economy), as well as, entrepreneurship and the urban-rural link. We foresaw an opportunity to target those challenges by submitting an application to an URBACT project with the ambition of sharing and learning with other European cities. Moreover, the existence of a local action group, ADEGUA, closely related to the City, facilitated the development of the project idea based on real needs of our community. Why did you choose to address this problem or work on this policy issue in the framework of an URBACT network? After reviewing the priority axis and the specific objectives of the URBACT programme it was clear for us that our idea was in line with URBACT. After making some informal research about the programme, in terms of vision, methods and tools, we recognized in the URBACT programme the value of being a learning opportunity through sharing experiences with other European cities. Later we discovered that there are a lot of professionalism and passion that guarantee we have made the right option. The multiplicity of objectives of our project, just as the diversity of experiences and initiatives developed by all the partners to address the common challenge, requests innovative approaches, that we believe URBACT can offer. How did you set up your initial partnership? Since the first steps of this project we have been searching for cities with enthusiasm and knowledge in Agri-Food. Some partners are old “friends” and we have contacted them directly to invite to join our project. Also, we used the URBACT database of cities to identify potential partners to join the partnership, while others were selected after making a market research and a phone interview. From all of them we have demanded commitment with the project idea and engagement with the network. We are proud of our network of cities, which is composed of the cities of Fundão (Portugal), Marchin (Belgium), Cesena (Italy), Södertäje (Sweden) and Pyli (Greece). What concrete results do you expect to achieve through this URBACT network? The results of this project will trigger the change that the city of Baena needs to solve its structural problems, such as youth unemployment and low SMEs productivity, while finding new approaches to the territorial development. We expect new knowledge that will contribute to new policies to support action such as: short circuits of production and consumption, training and improved capabilities in farming, creation of productive and employment spaces, land use and protection of agricultural areas, as well as, social, cultural and environmental sustainability. In short it is an honor to be part of this great family which is the European URBACT urban scene. Locally, the main result will be reflected on the elaboration of an attractive and realistic Action Plan. Our challenge is the integration of the Action Plan on the existing strategic plans. The results of this project will be a turning point for our city and the actions will impact positively on job creation, improvement of positioning systems to more innovative agricultural production, new marketing channels, organic farming, incorporation of the consumer in the food supply chain, and above all a new territorial relationship based on a re-articulation of the rural and urban areas.